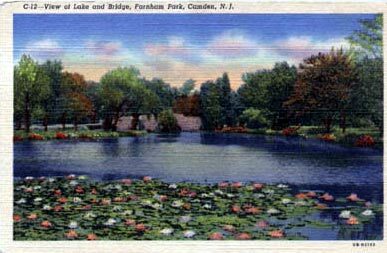 LEVI ELMER FARNHAM was born in Massachusetts around 1856. 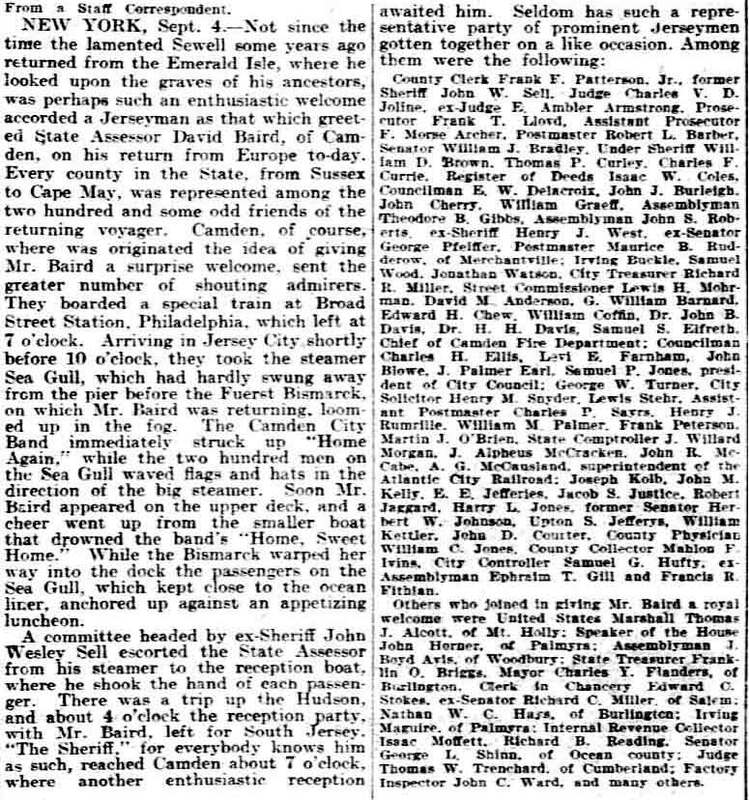 By 1887 he had relocated to Camden NJ, and was employed as the assistant city surveyor, making his home at 550 Berkley Street. 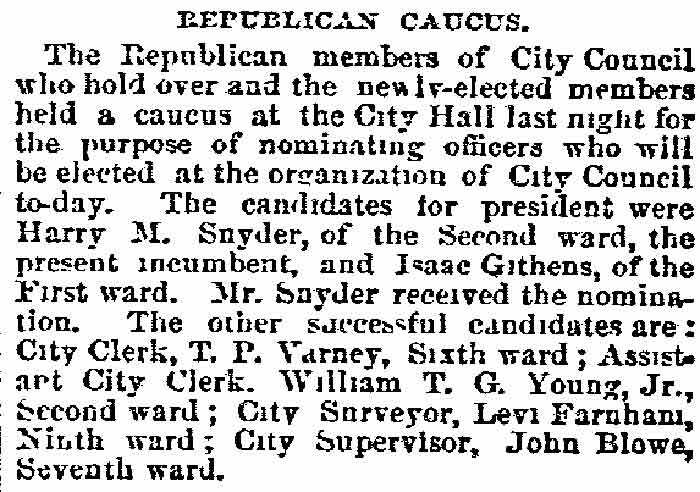 By 1890 he was promoted to city surveyor. 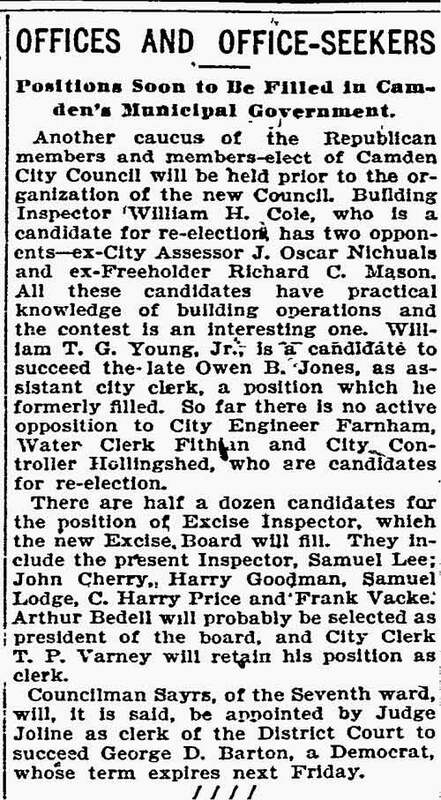 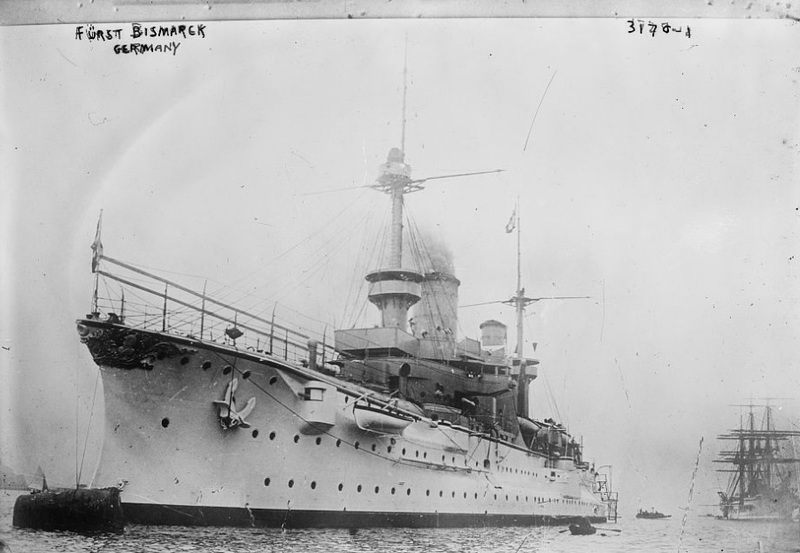 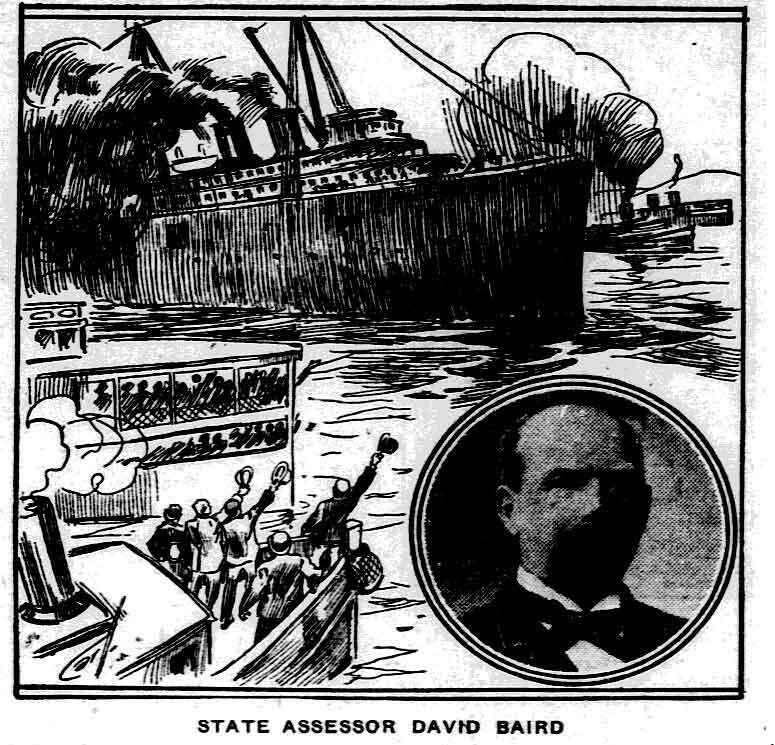 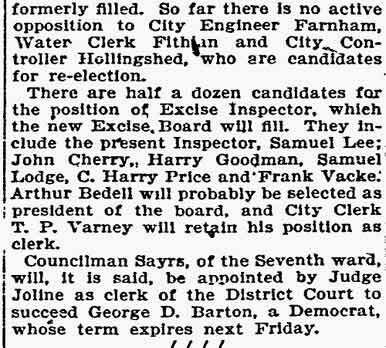 Shortly thereafter he was made City Engineer, in which he served for 30 years. 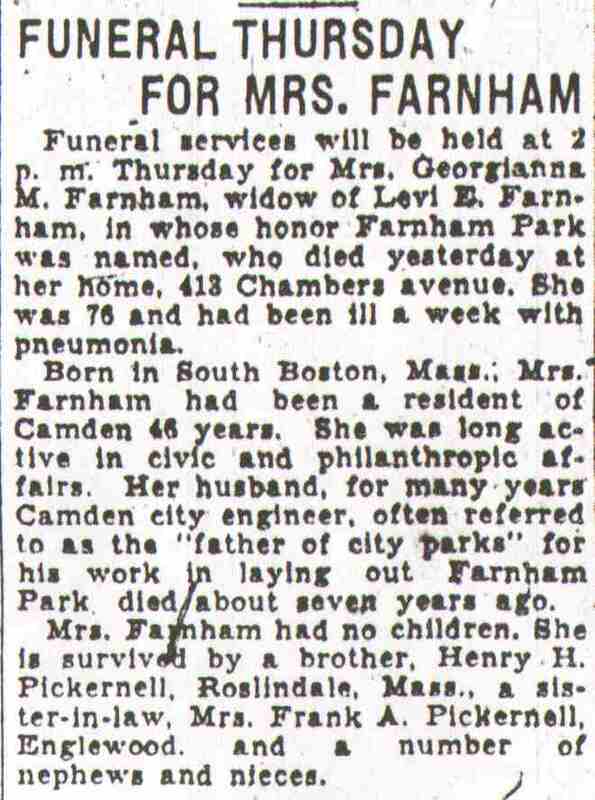 The 1900 Census shows Levi Farnham living with his wife Georgeanna at 416 South 6th Street. 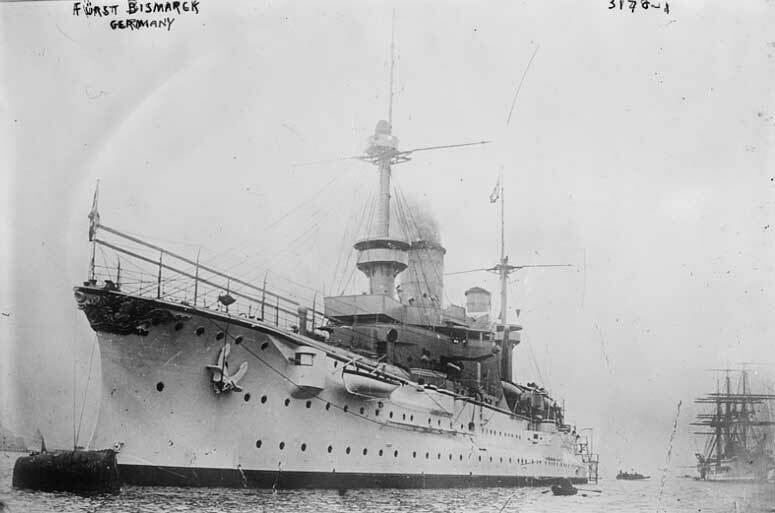 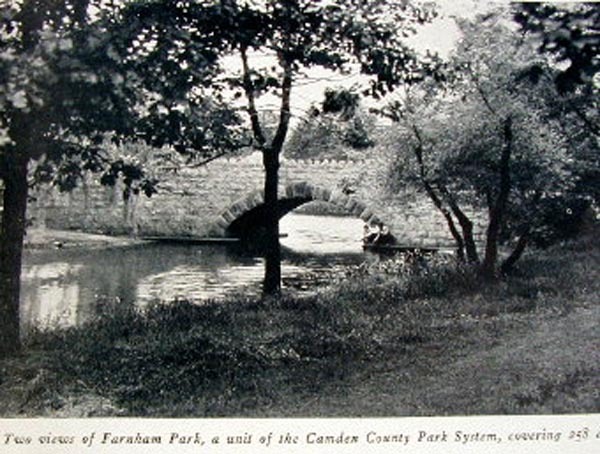 By 1906 Levi Farnham, still employed by the City of Camden, had purchased a home at 413 Chambers Avenue, not far from the Berkley Street address. 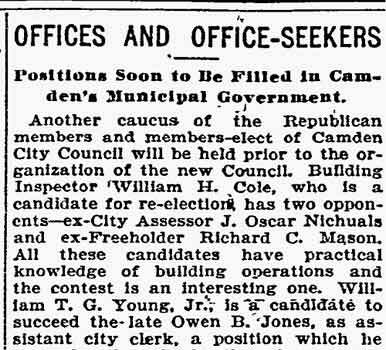 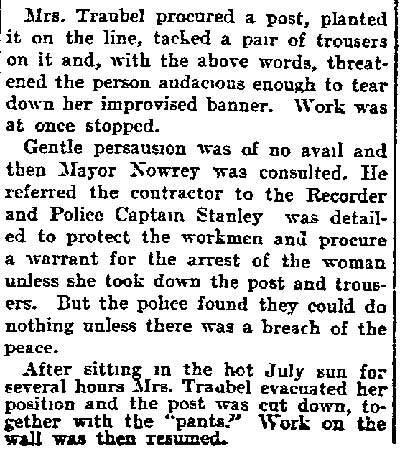 Among those on his staff in the City Engineer's office was Thomas J. Daley. 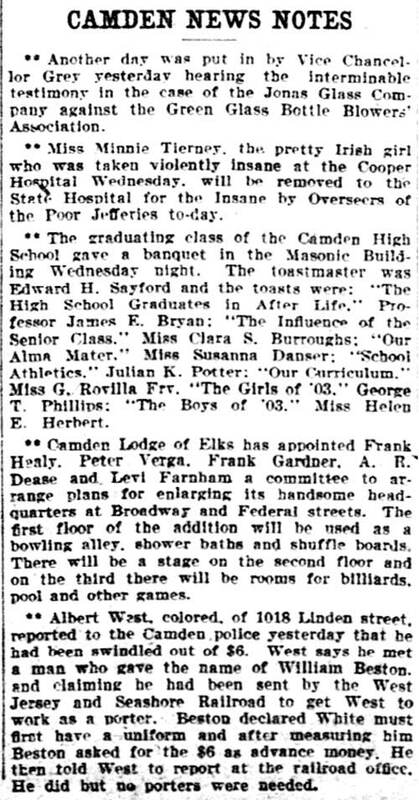 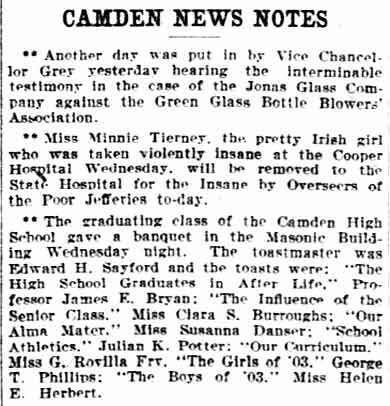 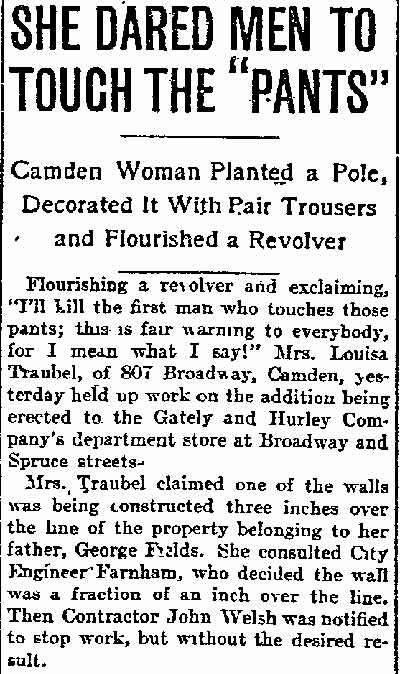 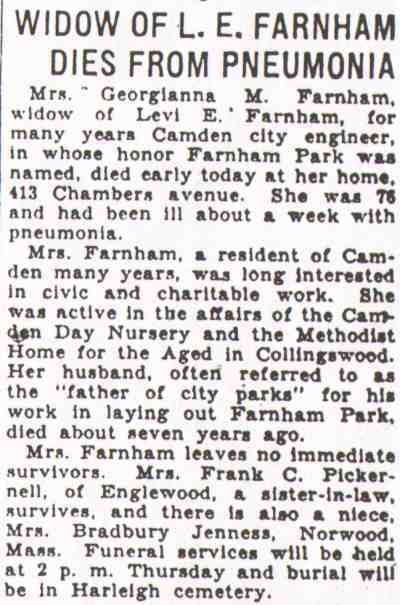 Mrs. Farnham was an active member of the Womans Club of Camden. 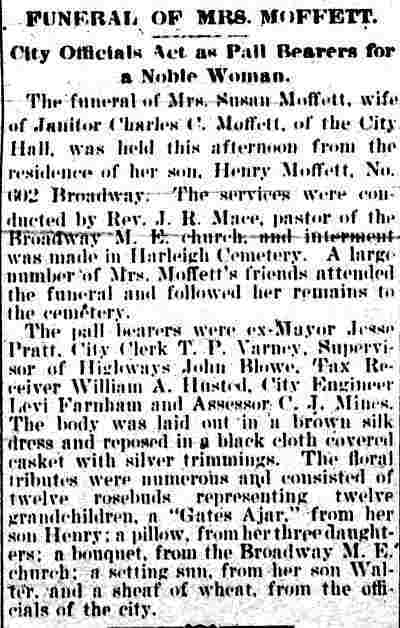 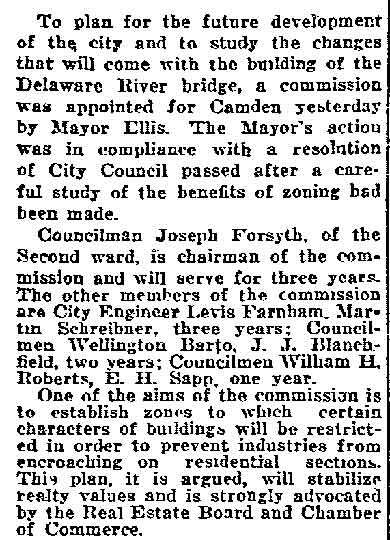 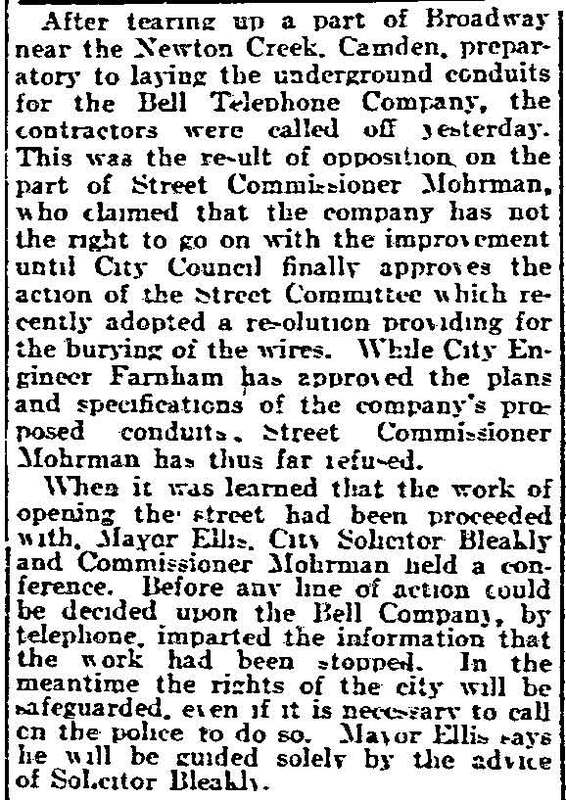 Levi E. Farnham, for over thirty years City Engineer of Camden, died October 13, 1923 at the age of 67. 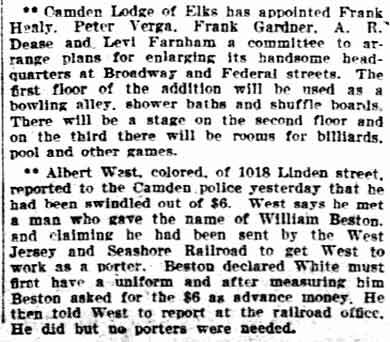 Still a resident of the Chambers Avenue address, his wife joined him in August of 1931. 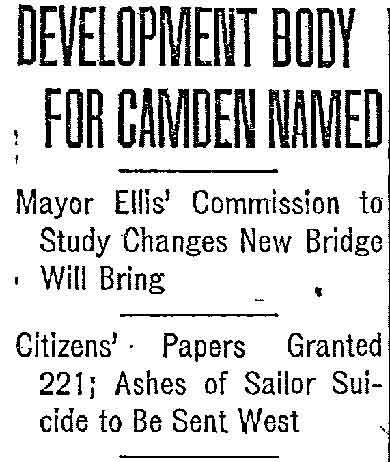 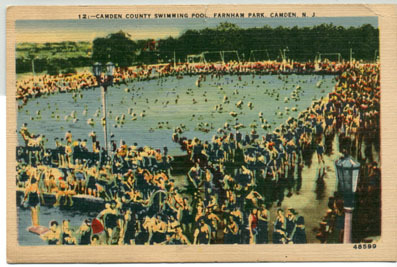 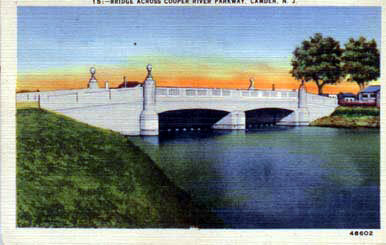 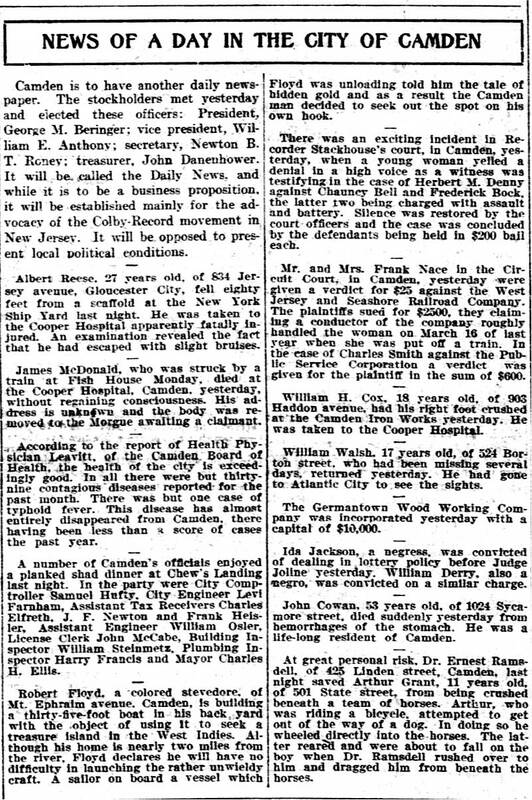 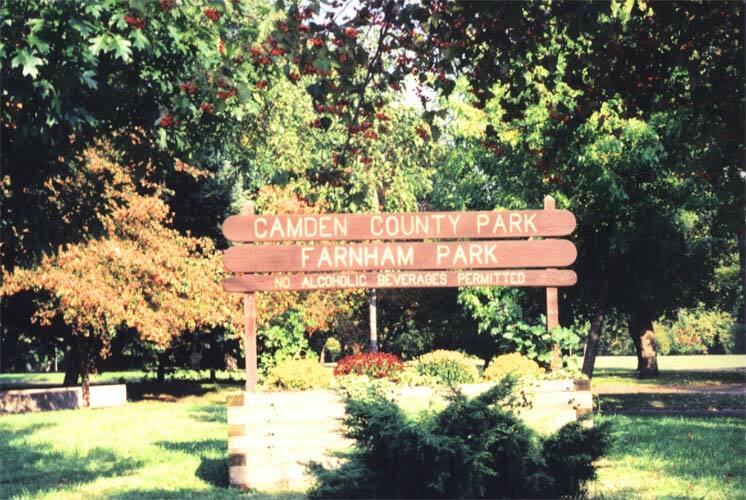 On December 1, 1927 the City Commission of the City of Camden re-named Forest Hill Park, between Kaighn Avenue and Baird Boulevard and along the Cooper River, Farnham Park in appreciation of Levi Farnham's services to the city.